Sessions: Two week workshops at the beginning of the summer. Camp offers either six week, or two three week sessions. Interlochen Center for the Arts hosts the oldest arts summer camp in the nation. It brings in some of the top music, dance, performing arts, and fine arts students from all over the world each summer to convene, play, and enjoy the warm days and cool nights of Northern Michigan’s lake country. Interlochen brings in wonderful guest artists, many of whom perform at their Amphitheater and then do a clinic or two, and the camp’s faculty and artists in residence who provide private lessons (additional fee) are often faculty from some of the top university and conservatory programs in the world. The program has been a critical component of so many of the world’s top musicians’ high school music careers that the VIP list is almost too long to post. Strings and Concert Band have been their core strengths for decades. Jazz is a more recent addition over the last 10-15 years. Bill Sears, the Jazz instructor at Interlochen during the regular year, runs the summer camp on the Jazz side, and is an amazing instructor. He’s also tuned into many of the top national faculty, as he places his regular year students at most of the top programs in the country. 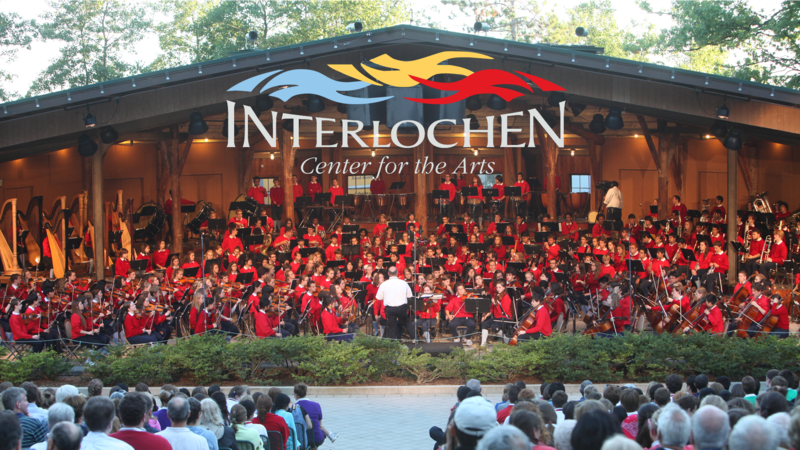 One of the interesting sidelights of the Interlochen experience is that your students will be meeting many of their peers who will be competing for slots at conservatories and college music programs around the world. That is a net positive, because many of the students develop relationships and networking that aids them in the process, and some have told us that they still network with old Interlochen friends for gigs and recommendations for orchestra placement in their adult years. Students wear uniforms, but it’s not a big deal as the tops are polo shirts and the pants are pretty easy shorts and long pants that are according to the level of the camp that the students enter. Junior campers are elementary and middle school. Intermediate is middle school and High School camp is what it advertises. Girls and boys cabins are split into different zones, and most people meet in the middle where the snack shack, coffee cart, and the performing arts spaces are after they’re done with their music, if they’re not off canoeing or kayaking or something else. There are multiple art areas including fine arts, theater, creative writing, and more, so it has broader appeal to other students at Dreyfoos as well. The food is not exceptional, the biggest complaint among campers year in and year out, at the intermediate and junior camps, but it’s been slowly getting better at the high school facilities. Most kids come out taller by the end of the summer, so malnutrition is generally not a problem. The camp allows students to attend major concerts that are open to the public that go across a wide range of musical styles, from orchestra to Willie Nelson, Harry Connick, Jr. and Sheryl Crow, to name a few. Students can purchase tickets to these concerts at a dramatic student discount before the camp starts. The camp is not inexpensive. $5400 (Jazz/3 Weeks) to $8,700 (Orchestra at 6 weeks) and you add in travel at $610 to $885, roughly, round-trip depending on when/how you buy. There is also the cost of uniforms, although we often ask parents of past Interlochen students if they can spare shirts from students who have moved on to college. The good news is that Financial Aid is available, and that Dreyfoos students typically have been granted good to great supplemental packages.